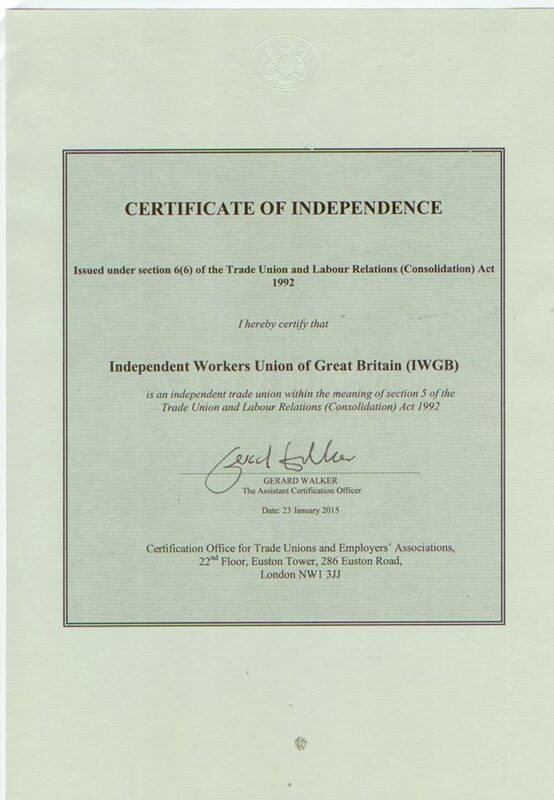 After what seemed like an age of bureaucratic procrastination, the IWGB has finally been issued with its Certificate of Independence by the Certification Officer. For any doubters – it’s in black and white on the gov.uk website. is not liable to interference by an employer or any such group or association (arising out of the provision of financial or material support or by any other means whatsoever) tending towards such control. The major significance of this for the union is that now we can start forcing employers to legally recognise us!